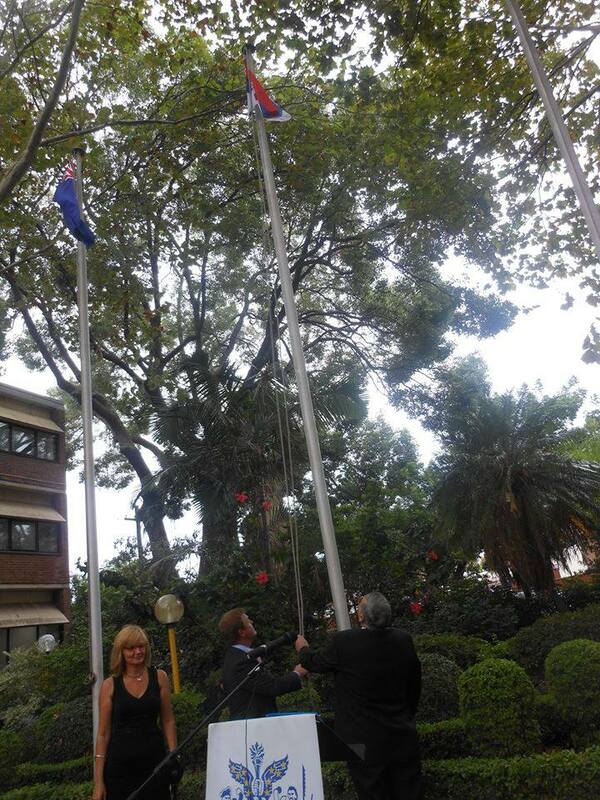 This year’s Serbian Statehood Celebration has started on 13th of February by Flag Rising Ceremony in the City of Rockdale, traditionally organized by the Serbian-Australian Association “Sretenje”, Mayor of the City of Rockdale and Consulate General of the Republic of Serbia-Sydney. The happening included playing the Australian and Serbian hymns and raising of the Serbian Flag followed by the speeches of the Mayor of the City of Rockdale, Mr Shane O’Brian, Hon. Shaquet Muselmane MLC and Deputy Consul General, Mrs Jasmina Pekmezovic. After the exchanging of gifts between the representatives of the Local Council and the Consulate and the performance of the “St Lazarus” Folkloric dance group a cocktail reception at the Local Council was organized.